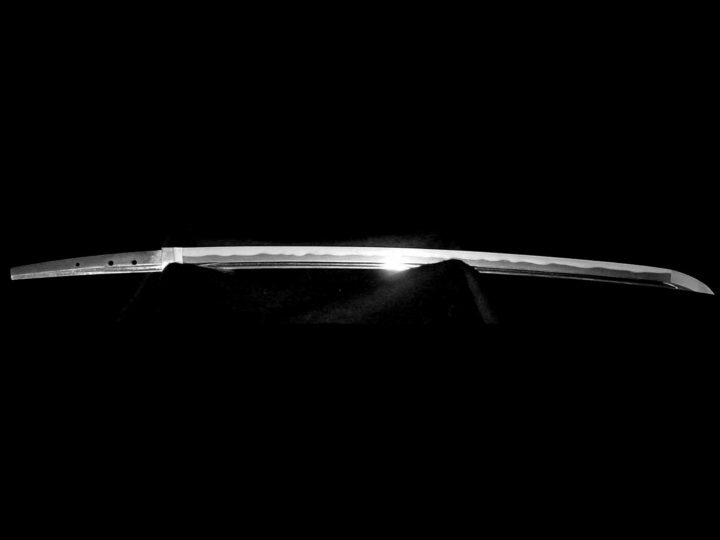 Bizen Tomomitsu (備前倫光) was a smith from Bizen Province who worked in the Nambokuchô Era. He was the son and student of Bizen Kanemitsu (備前兼光). Bizen Tomomitsu (備前倫光)worked in the Enbun (延文)Era, or around 1356-1361. He is also known as Osafune Tomomitsu (長船倫光) and he has been given the nickname of Rintomo. 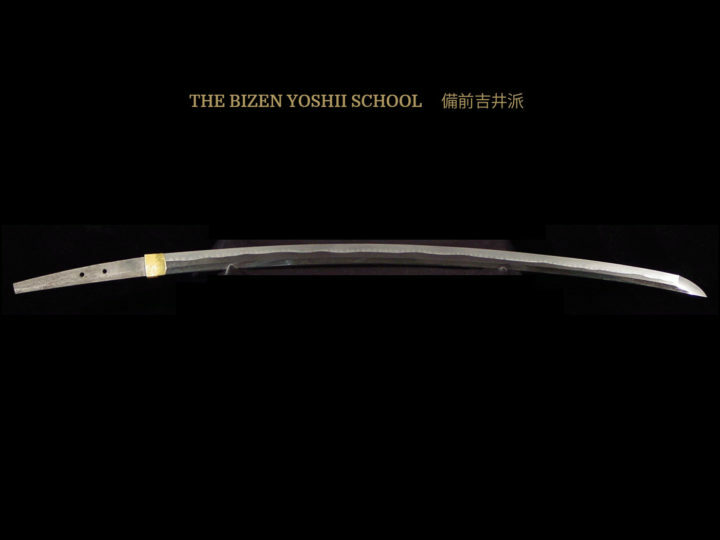 Bizen Tomomitsu(備前倫光)can trace his lineage through Bizen Kanemitsu(備前兼光)to Masamune (正宗) so his works exhibit what are called Sôden Bizen characteristics. This means that the Sôshû tradition can also be seen in his works. Examples of this influence are the itame-hada containing fine chikei and a straight utsuri. 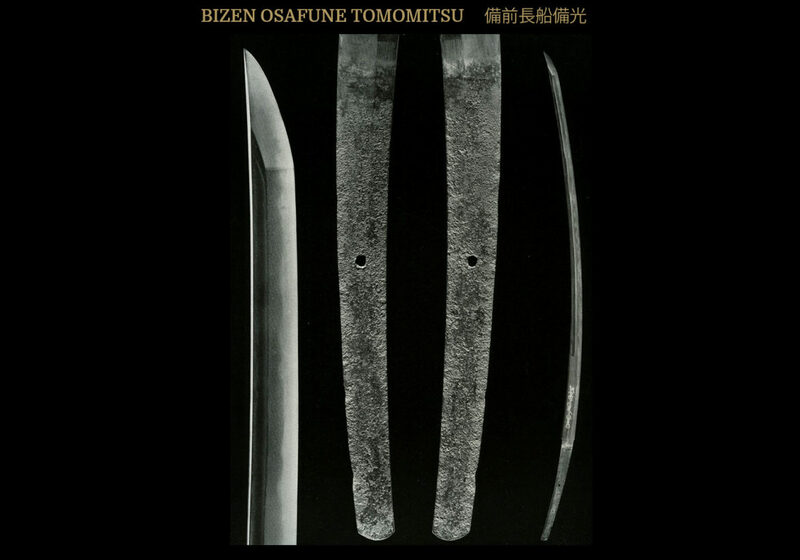 Bizen Tomomitsu(備前倫光)made many famous blades including an o-tachi that is a National Treasure. He also made one tachi and one tantô that are Juyo Bunkazai and two katana that are Juyo Bijitsuhin. SUGATA: Typical of the Nanbokuchô Era (1333-1391) which represents the culmination of the tendency towards greater size and greater length. Some of his swords were over 4 shaku so many are o-suriage today. Generally, they have a wide mihaba, shallow sori, little hira-niku, high shinogi, and narrow shinogi-ji. Also, a large kissaki is typical. JITETSU: His jitetsu will be the same as his teacher, Kanemitsu(兼光). The hada is a fine itame mixed with mokume. There will be chikei formed by dense ji-nie and bo-utsuri near the ha. HAMON: His hamon is nioi-deki and the yakiba tends to be wide. The nioi-guchi is lined with ko-nie and is tight. Everything about it is the same as Kanemitsu(兼光)except the pattern becomes slightly larger and the nioi line is a little thinner. His hamon tends to be kataochi gunome and o-midare whose pattern is inclined to become oblique. BÔSHI: Bôshi also tend to be like Kanemitsu(兼光), midare-komi with a slight kaeri. There will be jizo-boshi in cases. HORIMONO: Hi and horimono are quite common. This smith favored a unique ken-maki-ryu (dragon around a sword) which is called karakusa-bori because it looks like and arabesque pattern. The tip of his hi (grooves) will be lowered considerably, that is at about the level of the yokote line or below. NAKAGO: The nakago is made short with the tip made broad. 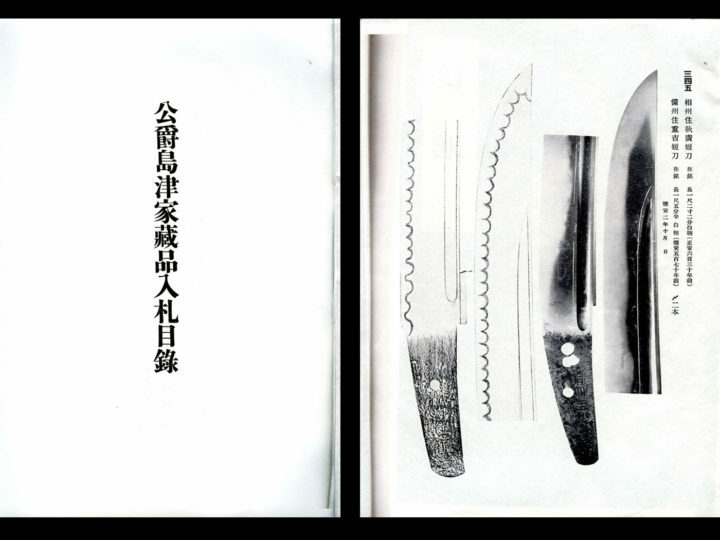 The file marks are kiri or katte-sagari. 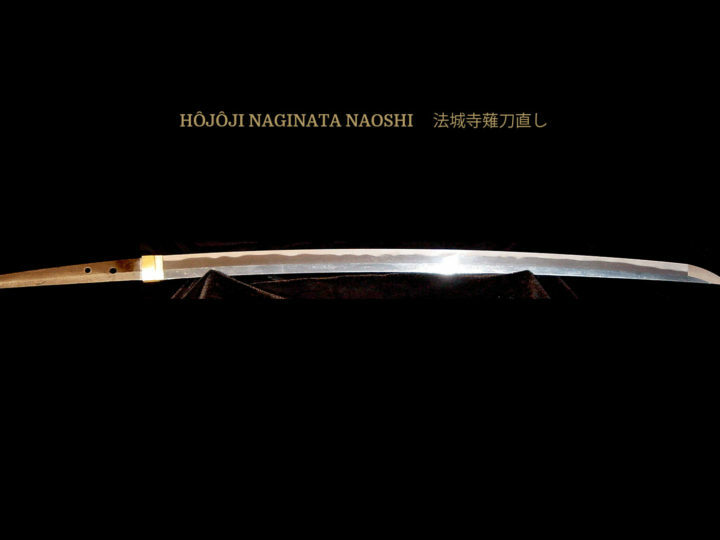 As stated most of his long swords have been shortened so the original nakago-jiri has been lost. MEI: His signature was, BISHU OSAFUNE TOMOMITSU (備州長船倫光). Many of his works are dated also.